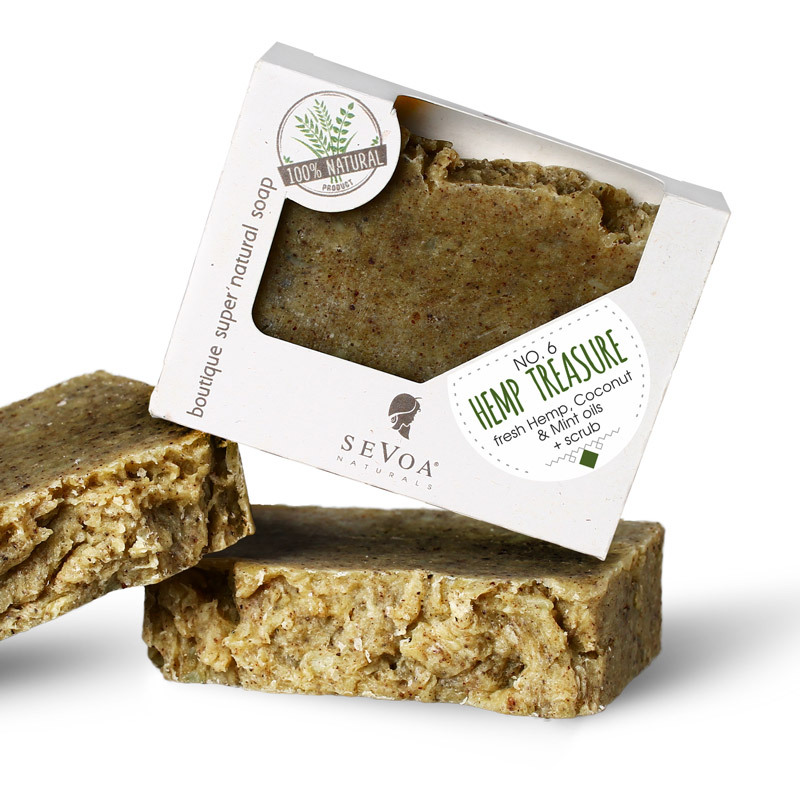 Freshness, energy, healthiness & medicinal herbs, combined with gentle natural exfoliation. Soap No. 6 is by now our last treasure in the box! The magical active hempseed oil added raw and pure at the right stage of production maintains all its properties providing ultimate goodness for the skin. The nettle is a popular herb with skin-friendly properties and the mint oil livens the body and soul’s freshness receptors. Contains also plenty of Coconut oil and Apricot powder scrab. Hand-made and truly vegan. Contains: Fresh oils: Hemp seed Oil, Mint Essential Oil; Herbs: Nettle leaves powder; Scrab: Apricot kernel powder; Saponified oils: Coconut oil, Olive oil, Rapeseed oil, Palm oil. The name of the soap has to do with its ingredients and the feeling it leaves on your skin. You’ll have to try it out for yourself in order to find out the secret of the HEMP TREASURE.